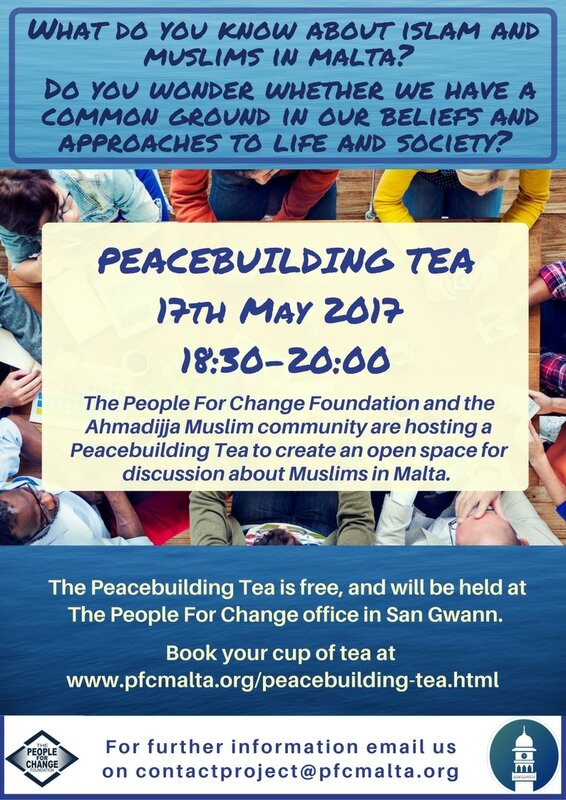 ​The People For Change Foundation and the Ahmadijja Muslim community are hosting a Peacebuilding Tea to create an open space for discussion. We welcome individuals to ask questions, voice opinions and engage in this debate. We particularly welcome those who may not have opportunities to openly discuss issues around cultural and religious diversity.